This Christmas, firstwriter.com is giving away free access to the firstwriter.com databases of literary agents, book publishers, magazines, and writing competitions, for every subscriber to this newsletter! You will then be able to subscribe to the website and receive all our services for up to a month at absolutely no cost – but you need to be quick! This festive offer is available only till January 6, 2015, at which point the code will become invalid. You'll get access to the entire current databases, including over 850 literary agencies, over 1,500 book publishers, over 1,700 magazines, and constantly updated listings of current writing competitions, with typically more than 50 added each month. Save searches and save time – set up to 15 search parameters specific to your work, save them, and then access the search results with a single click whenever you log in. You can even save multiple different searches if you have different types of work you are looking to place. Add personal notes to listings, visible only to you and fully searchable – helping you to organise your actions. Set reminders on listings to notify you when to submit your work, when to follow up, when to expect a reply, or any other custom action. Track which listings you've viewed and when, to help you organise your search – any listings which have changed since you last viewed them will be highlighted for your attention! As a subscriber you will be able to take advantage of our email alert service, meaning you can specify your particular interests and we'll send you automatic email updates when we change or add a listing that matches them. So if you're interested in agents dealing in romantic fiction in the United States you can have us send you emails with the latest updates about them – keeping you up to date without even having to log in. Our agent, publisher, and magazine databases all include a user feedback feature that allows our subscribers to leave feedback on each listing – giving you not only the chance to have your say about the markets you contact, but giving a unique authors' perspective on the listings. If you're sending your work away to publishers, competitions, or literary agents, it's vital that you first protect your copyright. As a subscriber to firstwriter.com you can do this through our site and save 10% on the copyright registration fees normally payable for protecting your work internationally through the Intellectual Property Rights Office. firstwriter.magazine showcases the best in new poetry and fiction from around the world. If you're interested in writing and want to get published, the most important thing you can do is read contemporary writing that's getting into print now. firstwriter.magazine helps you do that. As well as saving money on copyright registration, subscribers to firstwriter.com can also make further savings by entering writing competitions at a special reduced rate. Subscribers can enter the firstwriter.com International Poetry Competition and International Short Story Contest for half price. Take out your no-cost subscription now at www.firstwriter.com/subscribe! Register your copyright online for instant copyright protection in more than 160 different countries worldwide. Click here for more information. The Maine Review, a new quarterly print / electronic literary magazine, is now accepting contest entries for possible publication in the Spring issue, and subsequent issues. Contest prizes include $100 for the best prose piece, $100 for the best poem, and a free subscription to the Review for winners of Honorable Mention awards. All writers who enter will receive an electronic copy of the Summer 2014 issue, worth $8. The entry fee is $10. All genres are eligible for prizes. The maximum word count is 2,000 words for prose, and 60 lines for poetry. We seek quality writing with a strong point of view. Deadline: February 10th, 2015. For more information go to http://www.TheMaineReview.com/submit.htm. A Sneak Peek of the Fall issue is also available on the website. No one knows for sure if new writers have it easier than older generations, or the opposite! With the availability of self-promotion tools, a new challenge arises: Gone are the days when the writer’s “only job” was to write a good book. Now, you, the writer, are also responsible for creating some of the publicity for yourself. Sadly, even a great piece of work might be rejected because the writer has no online presence. If you are intimidated by the world of online self-marketing, don’t be! Start with the following tips and you will be ahead of most debutant writers! Brand yourself. Identify your target audience. Sure, you want “everybody” to read your book, but really who is it for? Who do you imagine is the “average” reader? Having an answer to such a question will help you mold your message as well as choose the right places to publicise your book. Speaking of branding, if you haven’t already done so, choose a profile picture which you will use across all social media platforms. Create a pitch about you, and a pitch about the book, 2–3 sentences each. Your pitch should catch the reader’s attention. Google+ may not be the most successful social networking site, but its true value is in the search results. Having a Google+ account, means that most likely it will be the first thing that comes up when someone searches your name. You then get to control the information you would want a first time reader to learn about you. There are many other benefits to having a Google+ account. In the “About” section, you can add your website or blog if you have one, which will drive more traffic to you. Link your website to your Google+ account. By doing so you are helping direct more traffic to your site. If you are publishing your book on some platform, or selling it online, an obvious link to add there is one which send the reader directly to the “learn more about the book” and/or “checkout” page. What’s more, you can use the “Introduction” section, also under “About”, to integrate some keywords. Explain who you are so visitors know they’ve reached the correct link, and make sure you mention your book title there. After about 4 weeks on Google+, and if you have at least 10 followers by now, you can even request a custom URL from Google! The result would be: plus.google.com/Your-Name. The number of followers you create on Google plus is extremely critical, as Google is moving more towards what is referred to as an “Authorship-based search engine”. In simpler language, this means “the more people seem to care about your opinion, the higher you will be in the search results”. The popular gets more popular. Hey, no one said life was fair! A positive testimonial to your book is the best gift anyone can give you when you are getting started on a professional writing career. Always ask for referrals, on google+ and anywhere else you can. Make it as simple as possible for them. Send them a direct link, and remind them only once (nicely) if some time went by and they did not leave a review. Google+ again is great for this purpose, as all they need to leave a testimonial is a sign in with an e-mail address or one of their social networking profiles. Don’t wait until your book is out to start collecting testimonials. Use free tools to critique your book, online forums for writers, share parts of your book with others, and ask them if they can leave a review about your book or even about a portion of it, or even about your writing style. Search online for bloggers who review books in your genre. These are an excellent source to get the word out. Use HARO (Help A Reporter Out). This site connects you with journalists looking for experience, for free publicity. If you can make a side of your story or book release into a newsworthy topic, you can convince a journalist to write about you and/or your book! As a writer, especially in the digital age, Twitter is your best friend! First of all, this is YOUR world. Writing comes naturally to you. Secondly, Twitter makes it so easy to share snapshots of your book. The keyword to keep in mind here is “Sharing”. Before you tweet something, ask yourself if people would want to share it. So choose powerful, captivating bits. Maybe something beautiful, which one would want to ponder upon. A wise quote, or even a poignant statement. The point is, don’t be bland. Every tweet is a chance to market your book. If your book is available in some digital format (and it should be) share the link to your book along with the tweet. This may seem overwhelming. But all you have to do is start with a small step. Even a half hour to promote yourself, and another half hour to communicate with your audience, consistently over a period of time will deliver substantial results. Remember that you are investing in yourself and your career, so every little effort you make counts. When you approach a publisher with a profile that says "I have an active, engaged audience", your book becomes that much more attractive than any of your competitors. This article is brought to you by Freeditorial Editor-In-Chief (M. Goldman), and Marketing Specialist (J.M Johnson). Freeditorial is a digital publisher with a focus on acquiring promising new writers. Short Story Sunday is a new home for short stories and flash fiction online. Launched in November 2014, Short Story Sunday is a new "boutique" experience for readers, authors, agents and publishers interested in reading and contributing world-class short stories. The creators' aim was to create an experience for the reader so that every Sunday they can take half an hour and visit Short Story Sunday with a cup of tea and read through that week’s story on their mobile, tablet or desktop either at home, at a coffee shop or on their lunch break. To ensure they have the best stories they put together an editorial panel with an eye for a good story to pick the most interesting and original stories for their readers each Sunday. The site accepts submissions of short stories for both adults and children, up to 3,500 words, and flash fiction between 500 and 1,000 words, which can be submitted by email. The Virginia Romance Writers chapter of Romance Writers of America is proud to announce their 20th Annual HOLT Medallion Contest for published authors. The HOLT Medallion Award was named after VRW's first elected president, Cynthia Holt, and serves as the acronym for Honoring Outstanding Literary Talent. Pewter medallions are awarded to the authors whose books are selected by a panel of romance readers as the best in each of twelve categories. What makes the HOLT unique is our purpose of reflecting the actual marketplace. Judging panels are comprised only of avid romance readers who participate with enthusiasm and sincerity. They're looking for a good read, a book they would buy and an author they would follow. Their judging decisions reflect these inclinations. No editors, agents or writers are eligible to judge. Eligible titles are romance novels, or novels with a strong element of romance, with a copyright date within the year preceding the competition (i.e. for the 2015 contest, books must have a 2014 copyright). Finalists will be announced on May 9, 2015. Winners and Awards of Merit recipients will be announced at the June Meeting of the Virginia Romance Writers Chapter on June 13, 2015. They will also be published in a full page ad in RWR and Romantic Times magazine. In addition to the medallion (winners only), the winner and finalists receive a certificate. The 2015 HOLT Medallion Contest will be accepting entries from December 1, 2014, till January 15, 2015. Please visit www.virginiaromancewriters.com for rules and entry form. This is for people who are making plans for a brand new year, and especially people who have decided that in 2015, they are going to stop making unfulfilled promises to themselves for some unspecified time in the future and actually give writing fiction a go. Savvy enough to already know that getting a first novel into print without a publication record is well nigh impossible, they decide that short fiction is the necessary first step. But taking the decision is just the start of it. What happens next? Well, before making commitments regarding expensive and time-consuming creative writing courses, perhaps a little preliminary research might be a good idea. Perhaps a relevant questionnaire or two might help aspiring writers to establish where they stand. Let’s take a few questions from one such testing proposition: a questionnaire with the fairly directly to the point title "How likely are you to publish short fiction?" How many of the short fiction writers you’ve read are still alive? How many of the magazines or newspapers which you currently read regularly publish short stories? How many subscriptions do you have at the moment to short fiction magazines, or poetry and short fiction magazines? How did you do? Will some background reading be necessary, or are you already up to date with the short fiction genre? Later, the questionnaire looks at some practical points concerning submitting to magazines and e-zines. How about this department? (e) decide not to send them anything? (e) ask for a stamped addressed envelope for the return of work? So how was that? Better? Perhaps looking at your background knowledge of contemporary fiction might provide further insights. Who wrote the short story “Brokeback Mountain”, on which the film was based? Which writer’s novel The White Queen was recently serialised on television? Which Canadian short story writer recently won the Nobel Prize for Literature? Which writer has won two Booker prizes with the first two volumes of a projected trilogy? Which writer’s short stories include “The Lady in the Van” and “Father! Father! Burning Bright”? http://writingshortfiction.org, and no logging on or purchasing memberships or reading terms and conditions will be required. Whatever the results may be, there is at least the potential for highlighting in big yellow ink the areas for attention. There are three other questionnaires on site covering other equally relevant areas, and there are sections offering analysis, help and advice in all aspects of the short fiction genre. The site is free and non-commercial, and will be considerably expanded as of January 14, 2015, with contributions from leading writers with highly impressive bios. Who they are and what new material there will be is already described on the site. Go see, and here’s hoping that the literary side of 2015 will be everything you want it to be. An anthology of 25 stories by Bruce Harris which have all won prizes, commendations or listings in UK fiction competitions, First Flame, was published in October 2013 by www.spmpublications.com. In addition to second prize in the 2014 Momaya Press Competition, his awards list includes Writers’ Bureau (twice); Grace Dieu Writers’ Circle (five times); Biscuit Publishing, Yeovil Prize, Milton Keynes Speakeasy (three times), Exeter Writers, Fylde Writers, Brighton Writers (three times), Wells Literary Festival, Wirral Festival of Firsts, New Writer, Segora, Sentinel Quarterly, Swale Life, Havant Literary Festival, Southport Writers’ Circle, Lichfield Writers’ Circle, Cheer Reader (three times), TLC Creative, 3into1 Short Story Competition, Meridian, Five Stop Story (three times), JB Writers’ Bureau, Red Line (twice) and Bridport Prize and Bristol Prize longlists. He also edits Writing Short Fiction at http://writingshortfiction.org: a free resource for all who write or who want to write short stories. WSF is delighted to be able to announce that the following writers, listed in alphabetical order by surname, will be contributing to one or both of the CHAMPION FICTION or TIPS FROM THE TOP sections when they launch on January 14, 2015. Biographical details follow each writer’s name. Our warm thanks to them all for ensuring a successful and encouraging launch. We are prepared to consider further submissions of prize-winning fiction or advice from successful writers, but if they are to be published for our January launch, we will need to receive them by December 28, 2014, at the latest. Thank you, and all are welcome to visit and enjoy the new site as of January 14, 2015. Andrew was a primary headteacher until he found the escape tunnel. Now he writes short stories. Two have been made into short films by Thorny Devil productions and have been screened at the Hollywood Short Film Festival in 2013 and 2014. Spinetinglers published twenty of his stories in an anthology called ‘Centurionman’. No macho pretensions, it’s named after Centurion Road where he lives in Brighton. The book was number one on the Amazon kindle download chart for eleven glorious hours. Never has the refresh button been hit so many times. He’s currently writing a novel and pitching a screenplay of one of his short stories to the BBC. Over one hundred of his stories have been published or placed in short story competitions. Sandra Danby grew up on a small dairy farm at the bleak edge of East Yorkshire where England meets the North Sea. She started reading early and has never stopped. After a degree in English Literature in London, she became a journalist. She now writes fiction full-time. Sandra is now writing Connectedness, the second novel in the ‘Rose Haldane: Identity Detective’ series. Karla Dearsley's stories, flash fiction and poetry have appeared online and in print on both sides of the Atlantic, and several of her plays have been performed. Her short story anthology, Artists & Liars, and a fantasy novel, Discord's Child, are available from Smashwords and Kindle. Find out more at http://www.ksdearsley.com. Chris lives in Bristol, UK with his cat and Harley Davidson FLSTFi Fatboy 1584cc V-Twin air cooled 95.25 mm x 111.25 mm bore stroke fuel injected 6 speed cruise drive motorcycle (listed in order of importance, obviously). His short stories have been published through a variety of competitions and magazines including InkTears, Scribble, Word Hut, Writers’ Forum and Writers’ Village. He is addicted to writing stories, riding motorcycles and playing drums in rock bands. You can read some of Chris’s published stories on his website, where he uses them as case studies to try and help other writers achieve publication. Shirley’s short fiction pieces have found homes in the pages of various magazines and anthologies. The most current anthology to include her work is produced by Parthian Books; other stories are in online journals, such as Visual Verse and 1000WORDS. She won first prize for the Exeter Short Story Competition in 2013, was short listed for the Brighton Prize, 2014, and was recently awarded first place in the Retreat West Short Story Competition, judged by Vanessa Gebbie. In addition to second prize in the 2014 Momaya Press Competition, his awards list includes Writers’ Bureau (twice); Grace Dieu Writers’ Circle (five times); Biscuit Publishing, Yeovil Prize, Milton Keynes Speakeasy (three times), Exeter Writers, Fylde Writers, Brighton Writers (three times), Wells Literary Festival, Wirral Festival of Firsts, New Writer, Segora, Sentinel Quarterly, Swale Life, Havant Literary Festival, Southport Writers’ Circle, Lichfield Writers’ Circle, Cheer Reader (three times), TLC Creative, 3into1 Short Story Competition, Meridian, Five Stop Story (three times), JB Writers’ Bureau, Red Line (twice) and Bridport Prize and Bristol Prize longlists. John Holland is a writer based in Gloucestershire. He has been writing short fiction since 2011. His stories are often dark, funny and mordant. John's stories are online, in magazines and in anthologies - including The Best Stories in a Decade published in 2013. His stories are in anthologies published by Momaya Press, Marble City Publishing, Earlyworks Press, Raging Aardvark, Worcs LitFest and Gloucestershire Writers’ Network. 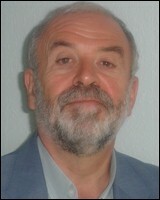 He has read at the Cheltenham Literature Festival, Stroud Short Stories, The Book - A Celebration and on local radio. In 2015 John will read at A Feast of Stories in Cheltenham. John was a regular contributor to Punch and BBC Radio Comedy in the 1980s. He also wrote for TV comedy shows he is wise enough not to recall. He has won/been runner up/shortlisted for about twenty competition prizes. In 2014, John’s The Night Ape won first prize in the Momaya annual short story competition and was published in their Annual Review. His story The Book also won second prize in the multi-story.co.uk short story competition and was published by Marble City. In 2014 John became the organiser of Stroud Short Stories, a twice-yearly event held at SVA, Stroud. Next event April 2015. Alison Moore was born in Manchester in 1971. Her short fiction has been published in Best British Short Stories anthologies and broadcast on BBC Radio 4 Extra. It is collected in The Pre-War House and Other Stories, whose title story won a New Writer novella prize in 2009. Her first novel, The Lighthouse, was shortlisted for the Man Booker Prize 2012 and the National Book Awards 2012 (New Writer of the Year), winning the McKitterick Prize 2013. Her second novel, He Wants, was published in August and described by Rachel Cusk in The Guardian as "brave and rigorous". Graham Mort is Professor of Creative Writing and Transcultural Literature at Lancaster University. He has worked extensively in Literature development in sub-Saharan Africa and is currently helping to develop new projects in Kurdistan. Visibility: New & Selected Poems, appeared from Seren in 2007, when he was also winner of the Bridport Competition short story prize. His book of short fiction, Touch, was published by Seren in 2010 and won the Edge Hill Prize in the following year. His latest book of poems, Cusp, was published by Seren in 2011. Terroir, a collection of new short fiction, will appear from Seren in 2015 and includes The Glover, winner of the 2014 Short Fiction International Short Story Prize. fwn is a no-cost newsletter from firstwriter.com, providing articles, news, interviews and other items of interest to writers. fwn uses English spelling conventions. Spellings such as "realise" "colour", "centre", "cancelled", etc. differ from other spelling conventions but are nonetheless correct. Enter our Poetry Contest and Short Story Contest for kudos and awards! Put an end to rejections! Get your work ready for presentation to publishers, agents, and magazines, with editing, advice, and feedback from professionals in the publishing industry! Give a writer the perfect gift – a Gift Subscription to firstwriter.com! This email has been compiled by firstwriter.com and is protected by copyright. It may not be copied, forwarded, or otherwise distributed in whole or in part without firstwriter.com's written consent. While every effort is made to ensure that all information contained within this newsletter is accurate, readers are reminded that this information is provided only as a list of potential leads that the reader should follow up with his or her own investigations. Unless otherwise stated, firstwriter.com is not associated with and does not endorse, recommend, or provide any assurances relating to any of the organisations, events, persons or promotions contained within this newsletter, and cannot be held responsible for any loss incurred due to actions taken in relation to information provided. Inclusion does not constitute recommendation.